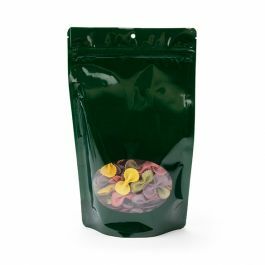 Our stand up pouches with oval windows are a great way to get eyes on your product. 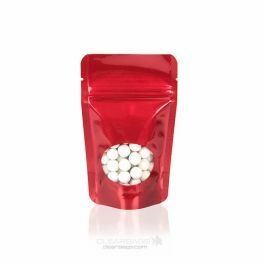 The ZBGMO1S is our metallized pouch in shiny silver and measures 3 1/8" x 2" x 5 1/8". 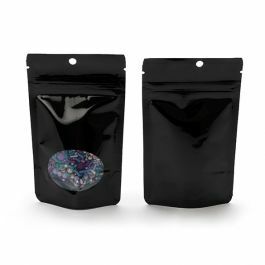 This pouch holds 1 oz/28 g and holds single serve portions of coffee, candy, mixes, and more. 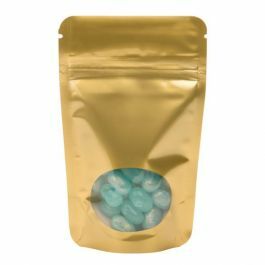 Features a high barrier, tear notches, and resealable zipper. This item is currently sold with NO HANG HOLE. Due to popular demand, it will soon come stock with a round hang hole. Check this table to see when it will be available with the hang hole. 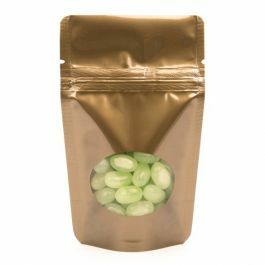 It's no wonder why attractive stand up pouches are making such a splash on store shelves. 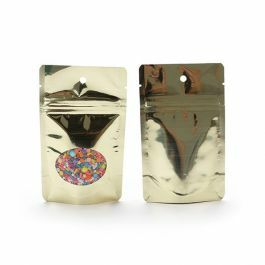 Our ZBGMO1S metallized stand up zipper pouch in shiny silver is designed with a clear oval window. 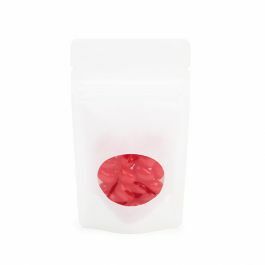 This food safe pouch measures 3 1/8" x 2" x 5 1/8" and is ideal for 1 oz/28 g of dry goods. Package coffee, tea, sea salts, mixes, chocolate, granola, nuts, and more. 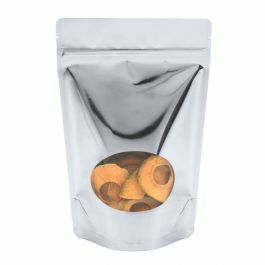 Customers get a preview of your product through the clear oval window. 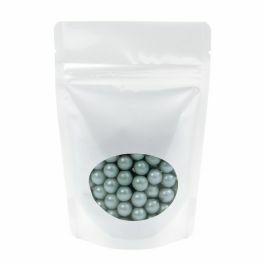 Metallized smell-proof and moisture-proof barrier seal in freshness and flavors. 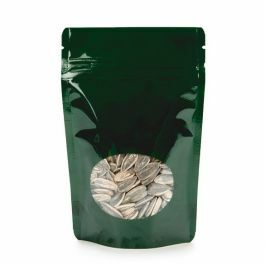 A resealable zipper and tear notches provide customers convenience. 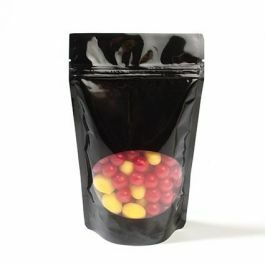 For a more secure closure for the retail setting, this pouch can be heat sealed. 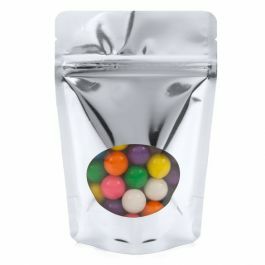 The self-supporting pouch design allows this pouch to stand upright when filled.